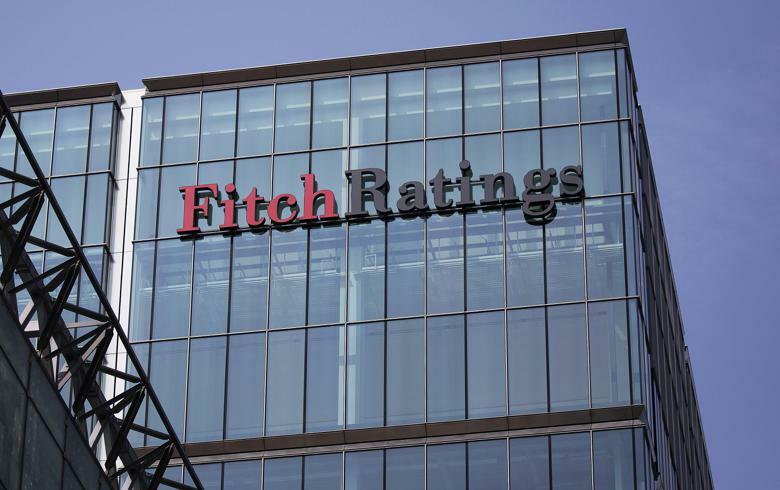 SOFIA (Bulgaria), November 19 (SeeNews) - Fitch Ratings said it has affirmed Bulgaria's Long-Term Foreign-Currency Issuer Default Rating (IDR) at 'BBB' with stable outlook. Bulgaria’s ratings are backed by its external and public finances, the policy framework for its accession to the eurozone as well as stable growth prospects, Fitch Ratings said in a statement on Friday. “The ratings are constrained by lower income levels compared with the current 'BBB' median, and weak demographics which could constrain growth and weigh on government finances over the long term. Governance indicators are in line with peers,” the agency added. Economic growth prospects are broadly in line with peers. Fitch expects real GDP growth to remain largely unchanged at 3.7% in 2018, before slowing to 3.5% in 2019 and 3.0% in 2020. Domestic demand should benefit from a scheduled 10% increase in public and minimum wages from January 2019; household consumption increased by 7.5% yoy in 1H18 (1H17: 4.0%). Investment growth is expected to increase from 3.2% in 2017 to 7.0% in 2018 and an average of 6.5% yoy in 2019-20, driven by higher capex, funded by the EU. These investments will be import-intensive, causing the net exports contribution to GDP to remain negative over the forecast horizon. Inflation has surged to 3.6% as of 3Q18 from 2.8% at end-2017, in line with the closing of the output gap (at end 2017) and boosted by high wage growth (2Q18: 8.2% yoy), low unemployment (2Q18: 5.5%), higher energy and food prices, and one-off factors in some services subcomponents. Fitch has revised upwards its forecasts for consumer prices (annual average) to 2.8% yoy in 2018 (from 1.9%), 3.0% in 2019 (from 2%) and 2.9% in 2020. However, this is only slightly above the forecast 'BBB' median and comes against a background of sustained deflation through 2016. Monetary policy revolves around the operation of a credible currency board arrangement (CBA) against the euro. Bulgaria's sovereign net foreign assets (2018F: 33% of GDP) and external liquidity ratio (2018F: 343%) are high compared with the 'BBB' median of 5.3% and 143.7%, respectively, and will remain key credit strengths over the forecast period. In July 2018, Bulgaria formally applied to the European Central Bank for 'close cooperation' with the aim of joining simultaneously the ECB's Single Supervisory Mechanism and ERM-2 (the two-year compulsory waiting period prior to joining the eurozone) by July 2019. Fitch views the European Commission's generally supportive stance towards Bulgaria's entry into ERM-2 (subject to meeting the banking union requirements) as an affirmation of Bulgaria's commitment to adherence to convergence criteria for eurozone accession (which include ceilings on inflation, general government debt, the long-term interest rate and the fiscal deficit). Bulgaria's fiscal finances are strong relative to peers. Bulgaria's general government surplus was 2.5% of projected 2018 GDP (cash basis) as of 3Q18, driven by 10% yoy increase in taxes, as well as other revenues. However, Fitch expects the seasonal ramp up in spending in 4Q18 to reduce the surplus to 0.5% of GDP in 2018 (projected current 'BBB' median: -2.4%). Pension reforms, wage increases and other discretionary measures will contribute to a modest decline in the surplus to 0.3% of GDP by 2020. Government debt levels (on both gross and net basis) remain far lower than both the 'BBB' median as well as most other EU member states. Bulgaria did not tap the debt markets in 2018, and no major debt redemptions are imminent until 2022. Fitch projects that the general government debt/GDP ratio will decline from an average of 27% in 2014-17 to just under 23% in 2018, 21.3% in 2019 and 19.5% in 2020. Although FX-denominated debt makes up nearly 80% of public debt currently, virtually all of the FX debt is euro-denominated, and the credibility of the CBA greatly reduces exchange rate risks. Bulgaria's external finance metrics outperform the majority of its 'BBB' peers. Gains in export market shares, sustained export competitiveness, anchored by real effective exchange rate stability have enabled Bulgaria to run current account surpluses. A weakening of growth in some of EU export markets and stronger domestic demand will lead to a decline in the trade balance, pulling the current account surplus down from 6.5% of GDP in 2017 to 1.1% in 2018 and an average of 0.8% in 2019-20. Bulgaria's net external creditor position, at a projected 17% of GDP in 2018 is stronger than the current 'BBB' median of -6.7%. Fitch expects a further improvement to 19% of GDP in 2019 and 20.4% in 2020. While gross external debt has also declined from a peak of nearly 100% of GDP in 2010 to a projected 70.6% in 2018, the build-up of external assets has been significant in boosting Bulgaria's overall external position. External assets are estimated to increase by nearly 90% from 2010 levels to USD58.5 billion (83% of GDP by 2020). Bulgaria's demographics are among the worst in the EU, due to a combination of a low birth rate and negative net migration. By some estimates, the working age population could shrink by 12% by 2025 (from 2015 levels), and by over 21% by 2047. This poses a constraint to potential growth in the medium term, and could raise fiscal costs associated with social expenditures and a declining tax base for the government in the long term...."
-Fitch assumes the Bulgarian authorities will maintain continuity in economic and fiscal policies, and in relations with the EU. -The global economy performs in line with Fitch's Global Economic Outlook."